Stair Lifts Wheelchair Dynamics Inc. When you struggle to move around your home independently, you can end up feeling unwanted stress. After all, many people prefer to age comfortably at home and that becomes rather difficult if you need to depend on others to get around. One of the most common issues is dealing with stairs in the home. As we get older, going up and down the stairs becomes more challenging. Fortunately, there are many mobility solutions out there to help with these issues, like stairlifts. Here at Wheelchair Dynamics, Inc., we strive to supply our customers with various types of medical equipment. We’re proud to carry a broad range of products, including stairlifts. We also carry a number of industry-leading brands you know and love, such as EZ Access, Bruno Independent Living Aids, Harmar Mobility, and Prairie View Industries. Visit one of our locations today to start browsing! We’re located in Sheldon and Sioux City, Iowa. 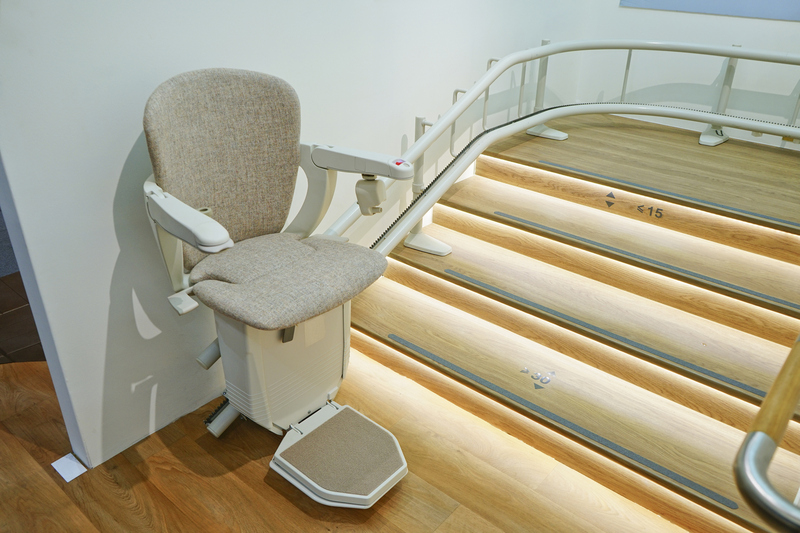 One highly popular reason for investing in a stairlift is safety. It’s only natural for our muscles to weaken and vision to decrease as we age. This can be a dangerous situation when trying to navigate a set of stairs. When you prefer to age safely at home, you’ll feel confident in doing so with the help of a stairlift. Falling down the stairs won’t even be a thought in your mind. In addition to being safe at home with a stairlift, you’ll also have the added bonus of convenience and comfort. After conquering a long day of tasks, the last thing you want to worry about is tackling the stairs. A stairlift will provide you a safe and convenient way of moving between the levels of your home. Sit down, press the button, and enjoy the ride. We all know that aging is a part of life, but that should not mean you have to give up your independence. When you’re unable to get up and down the stairs at home, your freedom might feel threatened. You won’t have to rely on others for help once you install a stairlift in your home. More importantly, you won’t have to consider moving to assisted living when you can get around your home safely and independently. When you’re ready to start checking out some options, give us a call or stop by today! We’re located in Sheldon and Sioux City, Iowa. You’ll find a generous selection of medical equipment at our stores, including many popular brands like EZ Access, Bruno Independent Living Aids, Harmar Mobility, and Prairie View Industries.